Sew a wardrobe for 18-inch dollies! 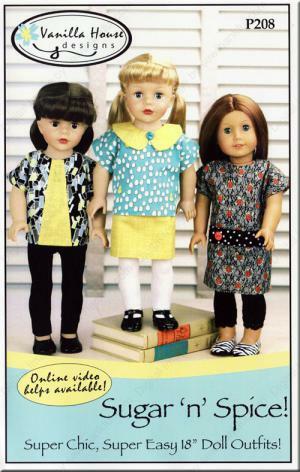 Sew up a slew of mix and match outfits from the dress, tunic/top, skirt, and leggings to make a complete wardrobe for your 18-inch doll. 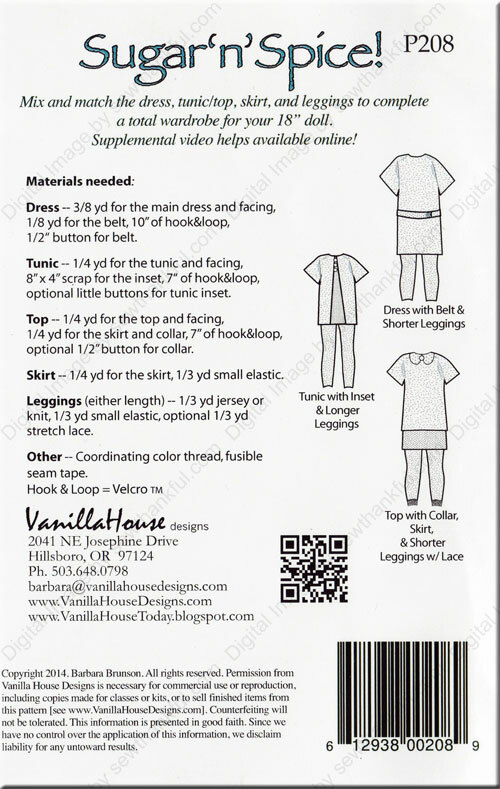 Inside this pattern are four web links to online tutorial videos on the pattern designer's website to help you with this pattern.